It took me a very long time to get around to watching Avatar. Mainly it was the case of the film with too much hype at the time of release. Also at the time, I had a lot of other things on my mind and go to the movies had been the least of my worries. By the time the film came out on DVD, it was a case of not being able to mine so we must pay attention convince. So yes, I have since 2009, until the beginning of 2016 successfully avoided watching the film about the blue lights feline alien people hugging trees. I am also aware, in the periphery, there was a lot of bitching and moaning from different communities about stereotypes - particularly the idea of ​​the "noble savage" versus "evil, greedy capitalist Scumdogs with big guns." Did James Cameron have an agenda when he made this film? I guess he did, even if he did not quite admit to himself. Or even if he did, does it really matter? There is more than a heavy-handed environmental message here viewers bash upside the head. And yes, some of the dialogue is a bit "Well, as you know, Doctor Bob, the unobtainium ..."
But again, trying nuanced dialogue in big-budget movies when you're facing a large audience is not always possible. I think. And knowing what I do about it behind the scenes of big-budget movies ... things can be hairy. Sometimes simple is best. 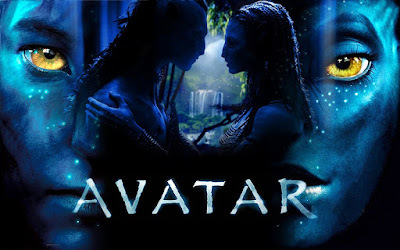 What I can not deny that Avatar is a beautiful film. A very, very beautiful film. I'm almost sorry I did not get to see it on the big screen, because the CGI, even years after its release is still jaw-droppingly amazeballs. And James Horner OST, although a little sentimental, is pure beauty. I'm still listening to it on Apple Music. Essentially, as I read earlier, Avatar is Dances with Wolves on a moon with blue cat people instead of the first people. Privileged white boy somehow absorbed into the foreign culture and manages their Chosen One. It is pure, Marty Stu wish fulfillment in all its inglorious ridiculousness. SJWs and the rest of the regressive Left probably have a million reasons why this film franchise is harmful to XYZ and that James Cameron is a very bad person. If you are looking for a depth of character, gray areas, and a nuanced plot, this is not your movie. If, however, you just want to stick to the Ikran and let fall through the green rainforest and discover a fantastic rendered world filled with dangerous animals and vegetation insane, this is a lush, beautiful film. Kudos to all the creatives behind the scenes in the production and the art department. You guys are great, and your work is wonderful. Also, any movie with Sigourney Weaver rocks.